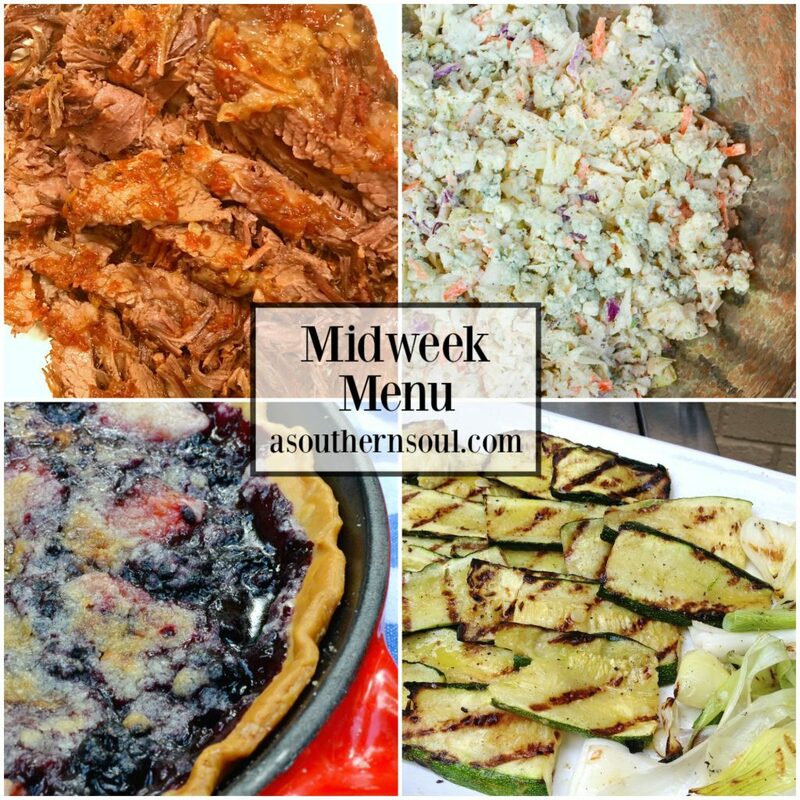 Three ingredient oven baked brisket, blue cheese cole slaw, grilled zucchini and blackberry peach skillet pie are the recipes on Midweek Menu this week! 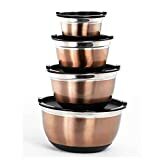 Who’s ready to get cooking with me? I am so ready to put this meal on the table for my family. 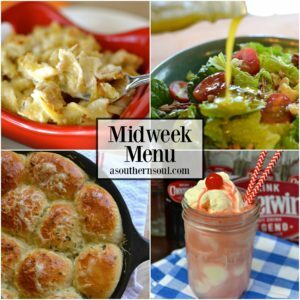 These four recipes are ones that I’ve served many times but I’ve never put them together in one menu. They each have their own unique flavors but when their matched up with the other dishes, it’s just something special. I’m sure you know what I mean. 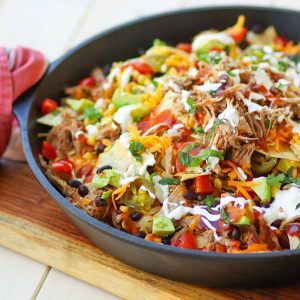 It’s kinda like when you find just the right flavors that go together on a burger or that best bite of nachos. Things just fit, right? That’s how I feel about this line up. 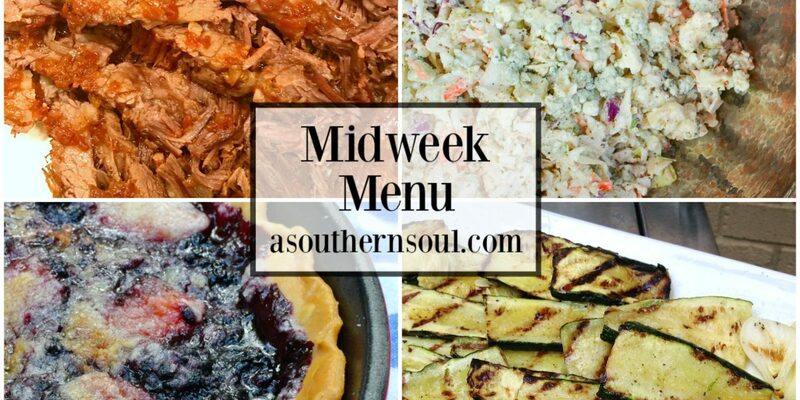 The beef brisket with the blue cheese slaw is amazing! Then add in the tender zucchini that has a touch of smokiness from the grill. Finish off the whole meal with an easy skillet pie made with peaches and blackberries topped with a scoop of ice cream, then you’ve accomplished something mighty special! 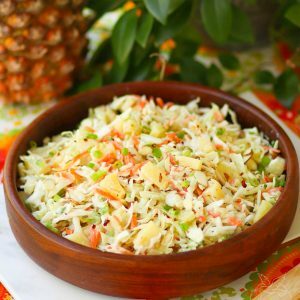 I hope you’ll head to the grocery and grab the ingredients for this easy menu. Let’s get cooking, friend! 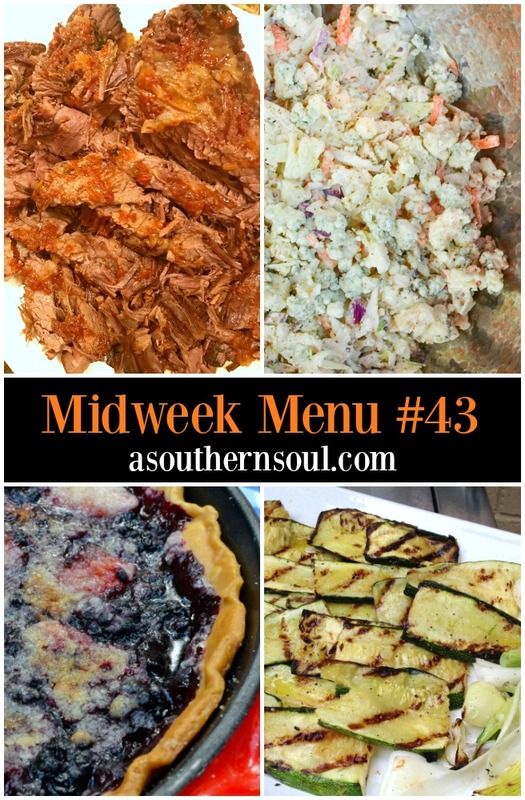 Midweek Menu #42 Recipes ~ Click on the title for ingredient list and cooking instructions with printable recipe card included. Need a little help organizing your grocery list? Download and print these helpful sheets designed just for you! 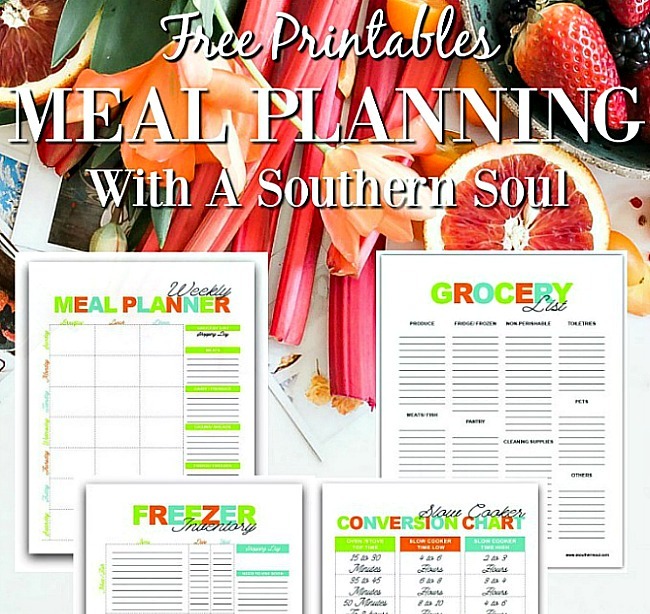 They’ll help you save time, money and inspire you to tackle meal planning like a pro.